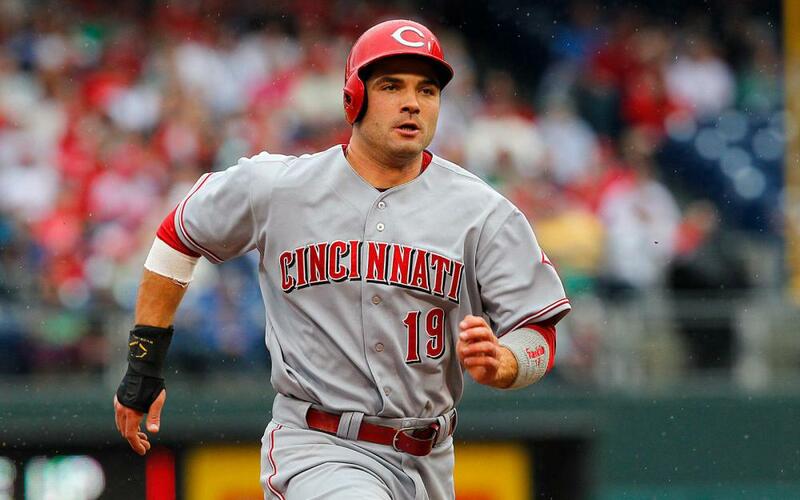 Joey Votto was 0-0 with a walk as a pinch hitter against the Pirates. Votto has picked it up of late but has started the year slowly with a .274/.396/.414 triple slash. The good news is that Votto has said himself that he struggles with his power stroke early in the season. It takes him a while to get his power stroke right. He is a career .294/.410/.507 in March/April, .301/.421/.528 in May, and .311/.413/.533 in June. You can see that his power typically increases as the weather warms up. His underlying skills are very solid at 16% K, 15% BB, and 39% Hard contact. His flyball rate is down 10% but that has not come at the expense of ground balls but a 12% increase in his line drive rate. A small increase in his launch angle and Votto's power is back to last year. Ivan Nova went 5.1 IP and gave up 4 ER on 7 H, 2 BB, and 4 K's against the Reds. Through his first 11 starts, Nova has a 4.96 ERA over 61.2 IP. His ERA indicators (3.82 SIERA) suggest that he has pitched better than his traditional numbers suggest. He is displaying his typical excellent control with 3% BB but his strikeout rate is still below average at 18%. This makes Nova extremely dependent on his batted ball luck to drive his ratio stats. So far he has experienced a .320 BABIP, which is quite a jump from his career .306 mark. Even with regression in his BABIP, Nova is likely to be a low 4's ERA type of pitcher. Given his lack of strikeouts that makes him only viable in NL-only and as a streamer in deep mixed leagues. Luis Castillo went 6 IP and gave up 2 ER on 4 H, 2 BB, and 5 K's against the Pirates. This has not been the start that the Reds nor fantasy owners expected out of the young right-hander. Castillo has a 5.34 ERA through his first 11 starts. The problem has been a culmination of factors. His strikeouts are down (22%) despite an increase in his swing strike rate. He is getting fewer ground balls (-10%) and has allowed more home runs (1.75 HR/9). This is in addition to a 2 mph drop in velocity as well. Despite all the negatives, there is a lot to like about Castillo going forward. The strikeouts are going to come with a 15% swinging strike rate. He also has a 2.78 ERA, 27% K, and 50% GB in May, which is more in line with what he did a year ago. Now is the time to buy before people realize what he is doing. Jesus Aguilar was 0-3 with a walk against the Mets. Aguilar has been a huge plus for the Brewers since Eric Thames went down. He is hitting .316 with 7 HR, 21 R, 23 RBI, and 0 SB across 132 PA. His .367 BABIP is going to come down but his 41% Hard contact and 28% LD means that most of what he is doing is legit. His strikeout rate is around league average at 23% and he has shown the ability to control the strike zone with 9% BB. Aguilar has been hot in May hitting .288 with 6 HR. The Brewers need to find regular playing time for him when Ryan Braun and Eric Thames get back. Scooter Gennett was 0-4 with a run scored and a strikeout against the Pirates. Gennett is slashing .321/.360/.533 over his first 49 games. It is hard to believe but he not only matching what he did a year ago but has actually improved. He has dropped his strikeout rate 3% and upped his hard contact to 40%. His exit velocity and launch angle support the increased power he showed last year. Gennett has also been hot as of late hitting .333 with 2 HR and 9 RBI over his last seven games. He is benefiting from regular playing time and an excellent home park as he continues to break out in his late 20's.